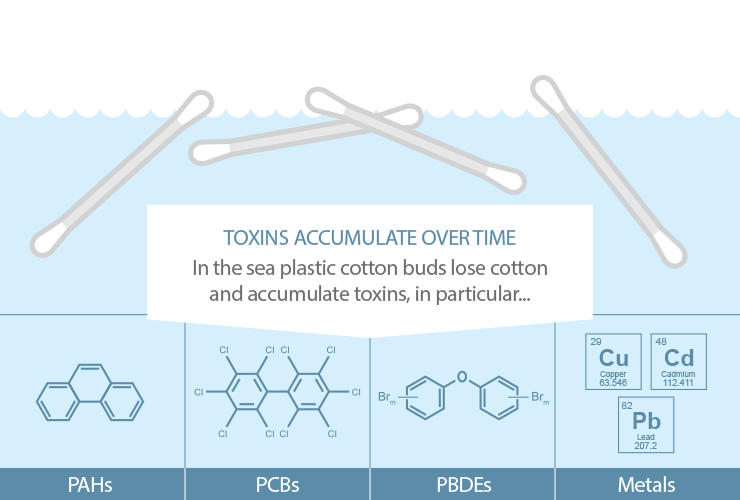 Plastics in the marine environment accumulate a mixture of chemical contaminants from the surrounding seawater, including flame retardants, pesticides and metals. The breakdown of the plastic itself can also lead to the release of toxic components, for example chemicals used to dye or coat the plastic. Not only do these present a danger to living organisms in the coastal and marine environments, they also present a health risk to the public through physical contact on recreational beaches and associated bathing waters.